Dr. O.P. Bhalla Foundation & Jeevandayini conducted a Bone Marrow Donor Registration Drive with a record 93 donor registrations at Manav Rachna campus! New Delhi, September 14, 2017: The month of September is being observed as the Blood Cancer Awareness Month. To commemorate the Blood Cancer Awareness Month and the World Marrow Donors Day (September 14), a Bone Marrow Donor Registration Drive was organized today at the Manav Rachna campus jointly by Dr. O.P. Bhalla Foundation and Jeevandayini Social Foundation in technical collaboration with Datri, India’s largest Stem Cell Donor Registry. Dr. Rahul Bhargava, Haemato-Oncologist, Fortis Memorial Institute, Gurugram graced the occasion. 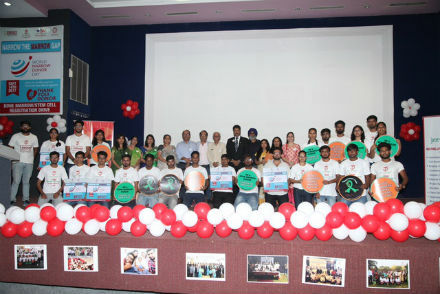 He encouraged the young audience to participate in the Bone Marrow Donor registry drive. He said: “What we require in today’s world is a true human being, who can rise upto the occasion to save a life”. 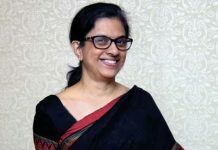 He cited many instances where people even after registering backed out at the time of the bone marrow transfer because of some other commitments. He cautioned people that the day they back off, there is one life which dies that comes to an end because you were their only hope. Third is the third such drive organized at the Manav Rachna campus to sensitize the youth on Blood Disorders including Leukemia (Blood Cancer), Thalassemia, Aplastic Anaemia and Sickle Cell Anaemia and to encourage them to register for the Drive. Dr. M M Kathuria, Trustee, MREI; Dr. Sanjay Srivastava, MD, Manav Rachna Educational Institutions (MREI); Dr. Chavvi Bhargava, Dr. O P Bhalla Foundation; Dr. Hanu Bhardhwaj were among the people present on the occasion. 93 students registered themselves for Bone Marrow Donation. Jeevandayini was enabling the bone marrow donor registration process in which a buccal swab sample was taken. This sample will be further tested and recorded with Datri.